Enjoy the quiet, private, and wooded seclusion while fishing or canoeing right from the back yard, nestled on nearly 4 private acres. 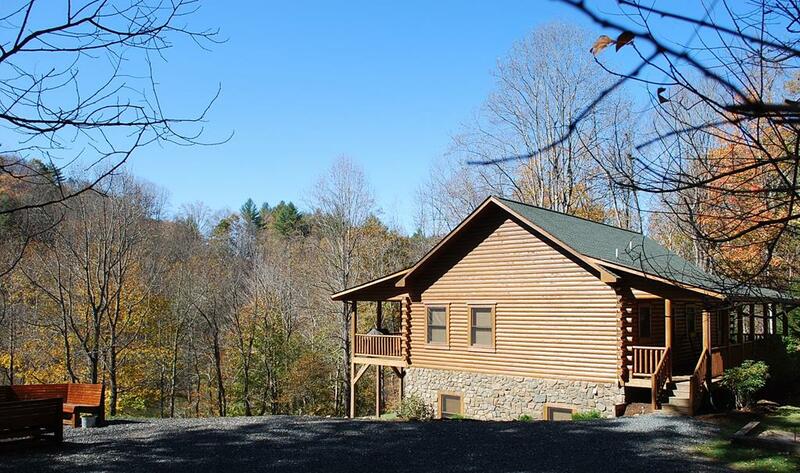 River Raves -A spacious newer log cabin on the banks of the New River. 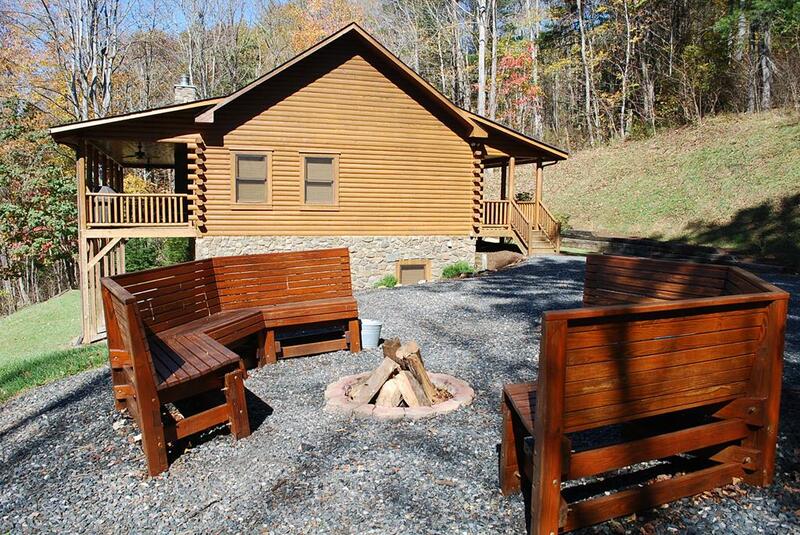 Unwind in the rocking chairs on the spacious covered deck overlooking the picturesque New River! The views of this historic river are breathtaking! The river also announces its presence with a couple of nice rapids right out front! The main level features large greatroom with wood burning fireplace, plenty of seating, 40" HIGH DEFINITION Satellite TV& upconvert DVD, and 2 sets of glass doors to enjoy the wooded mountain setting, natural light and access to the extra large covered deck. Cook your favorite dinner on the deck on the brand new gas grill, or charcoal if you prefer. Dining for the whole family with large dining table, eating bar and well equipped kitchen. Master bedroom offers a king size bed, glass doors to the deck, Satellite TV and DVD and full private bathroom. 2nd bedroom also on main level with twin bed and twin bunks, and DVD player for kids. The lower level offers a large recreation room with billards table, dart board (bring your own darts), stereo and card/game table. Also den area with seating and Satellite TV with DVD. Also 2 spacious bedrooms; including a large bedroom with king size bed, in addition, a nice chair to read in, and the other bedroom boasts a queen and twin. 3rd full bath and laundry room also on lower level as well as a private exit out to the New River. Nice set of steps help with the easy access down to the river. 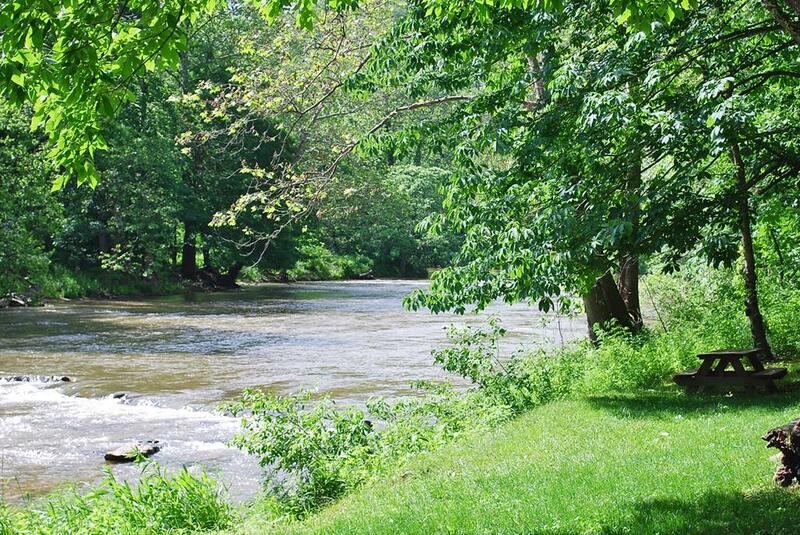 Enjoy a nice lunch or picnic along the shores of the river...this is God's country indeed! If you are looking for peace and quiet along the beattiful New River, without the sight and sounds of cars, this is the place! Your family and friends will "Rave" about the time they spent at River Raves! 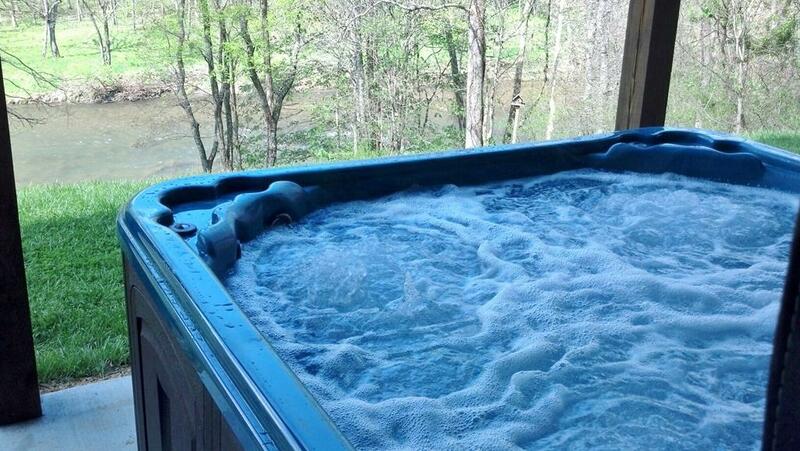 Other Features Include: Wireless High Speed DSL Internet Access, outdoor firepit. Sleeps 10: 2 kings, 1 queen, 4 twins. Maximum pets allowed is two dogs with prior notice and pet fee.